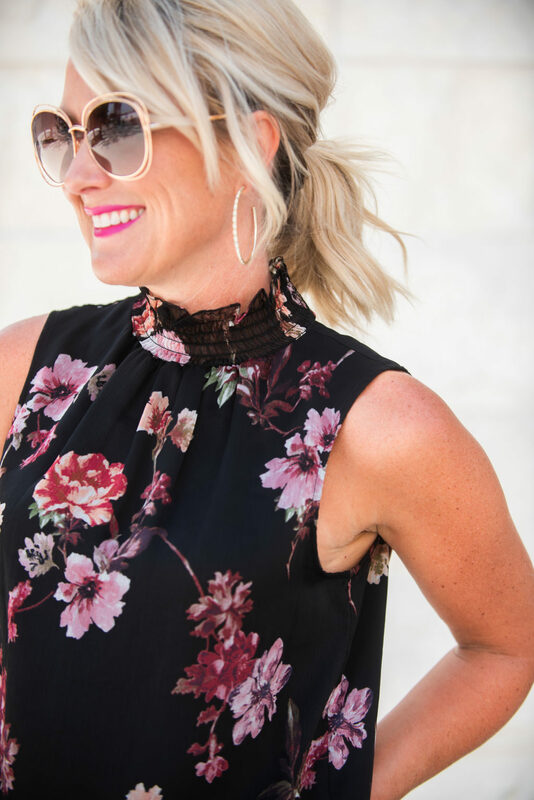 Work to Weekend | Black Floral Blouse | hi Sugarplum! Happy Wednesday from London, friends! We arrived yesterday, and explored several hours before losing the battle to jet lag. It’s been years since we visited this city, and it’s even more charming and vibrant than I remember. We’re embarking our ship, the Royal Princess, today for a cruise of the British Isles! We’ll be making stops along the UK, Ireland, Scotland, and finishing up in Paris! I’d love your tips and suggestions for any of these places. 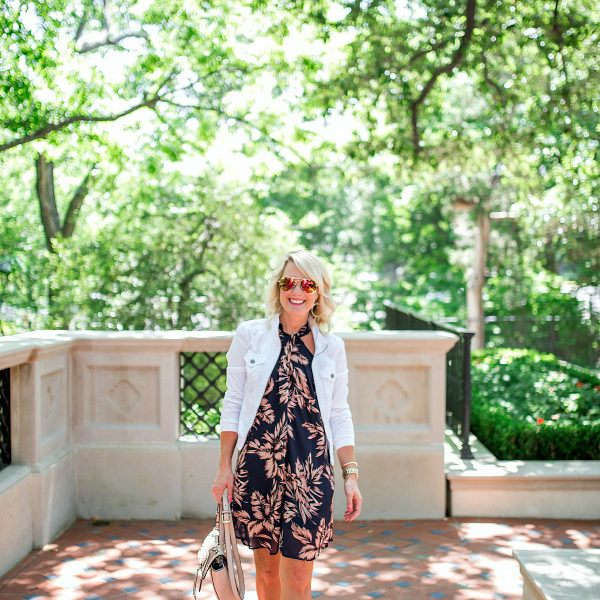 Today on the blog, I’m excited to share some Work to Weekend inspiration for you, featuring a few of my closet staple pieces. 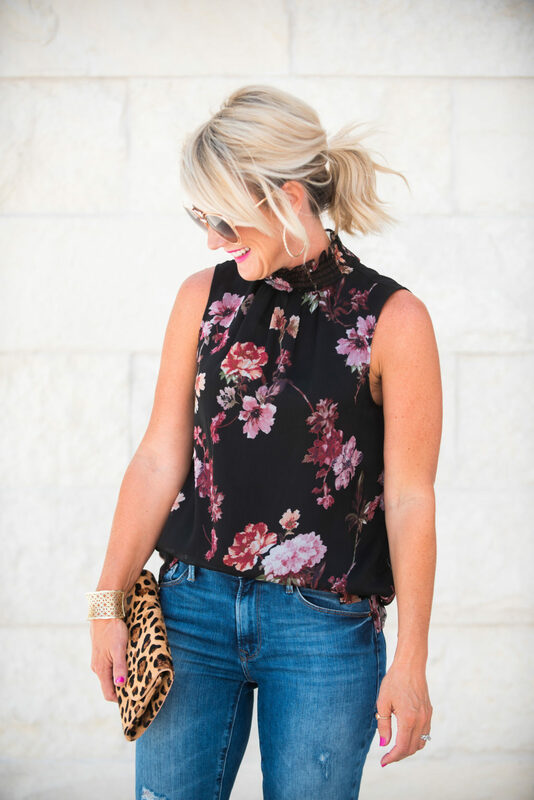 This floral blouse is gorgeous, and so versatile. I’m wearing it alone now, and will layer it under jackets and cardigans later. 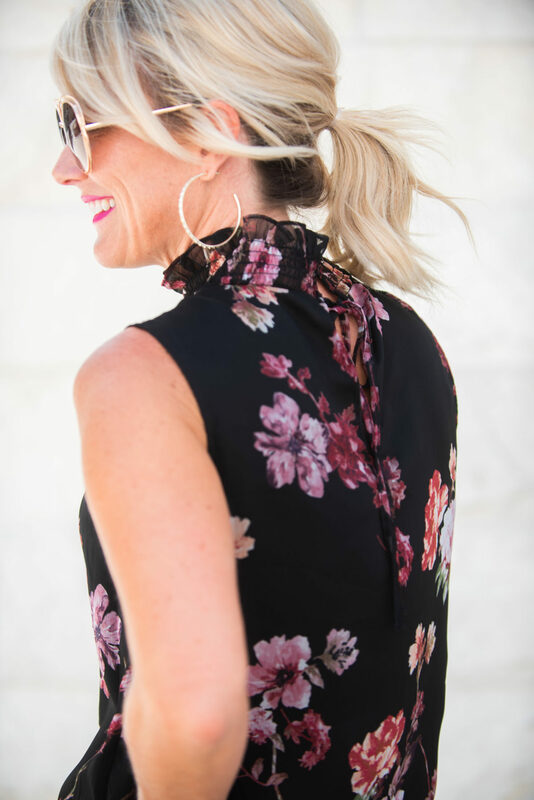 The floral is so fresh, but the black makes it perfect for year-round wear. And bonus, it’s on sale! Fit Tip: I’m wearing a 0P skirt and XS blouse. I’ve had these pumps for years, and just adore their classic shape and comfortable fit. The heel is just right for a flattering fit, but totally manageable for being on your feet all day. 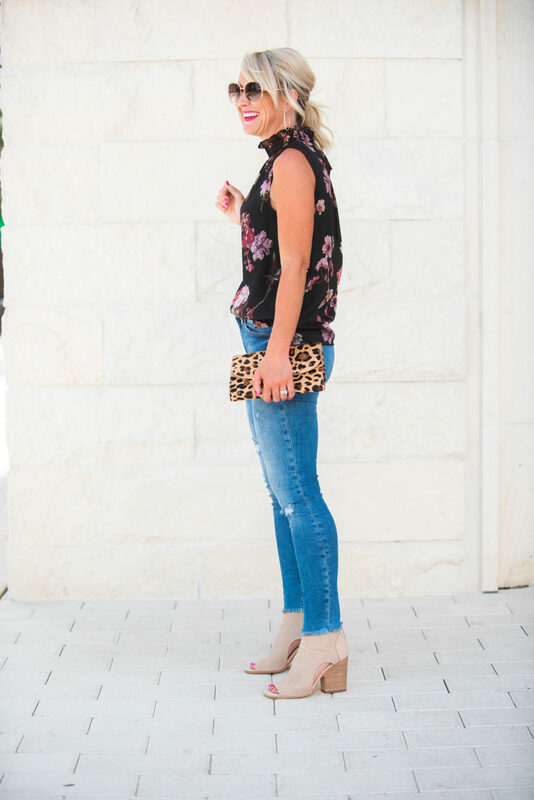 This blouse is too pretty to reserve for just the office, so I paired it with jeans and booties for a fun night out style. 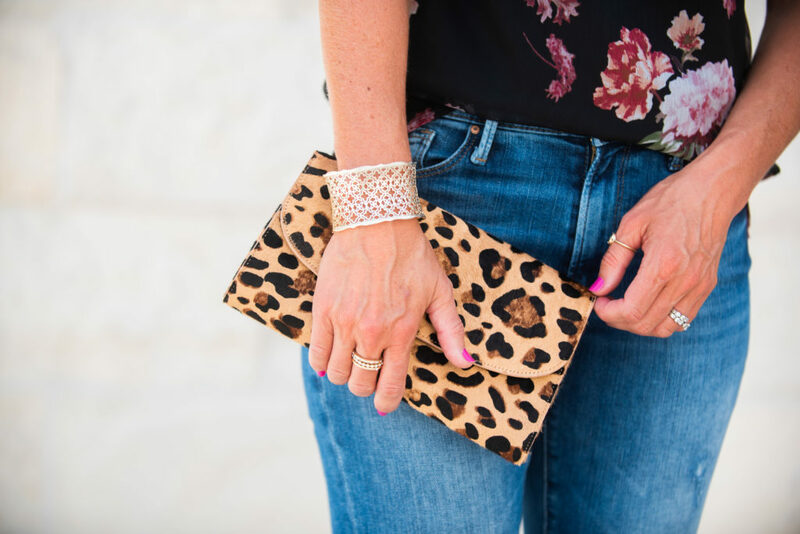 I love the contrast of the feminine top paired with distressed jeans…and of course a pop of leopard is always a good idea! Fit Tip: They are true to size, I’m wearing a 26. The ring set is one of my favorite finds lately…it’s a whole set of rings for a great price, and I love stacking and pairing them in different combinations on multiple fingers. Okay, it’s back to the British Isles for me…first stop, the Channel Islands! We port in Guernsey, and then ferry to the tiny island of Sark which has no cars! I’ll share everything on the blog, but you can catch it in real-time on my Instagram Stories. 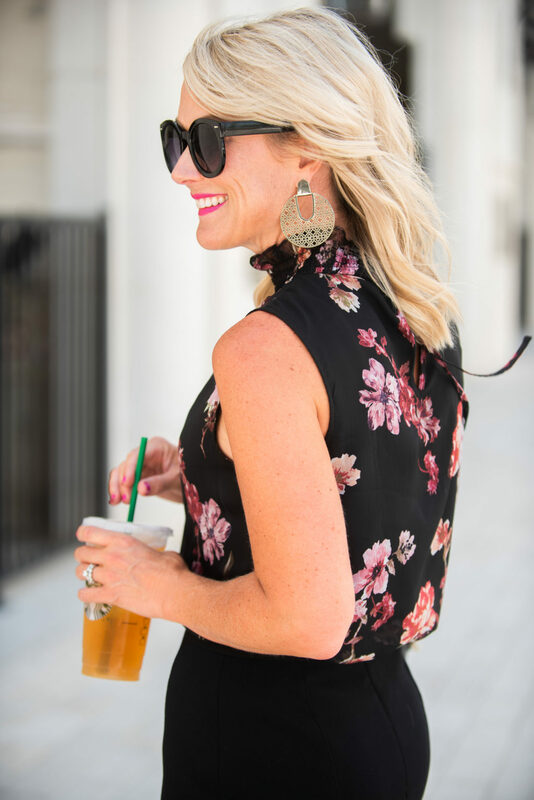 Find more Work to Weekend styles here, and all my Work Wear inspiration can be found here. I have never personally traveled to these areas, but I know a great blog that you should read. 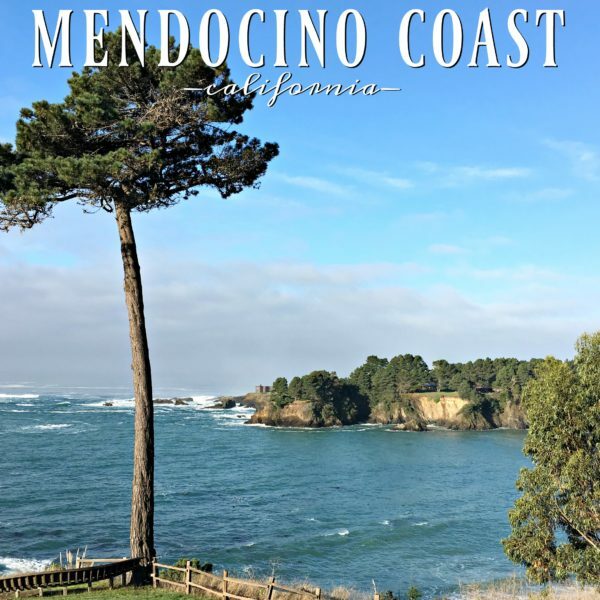 This girl has traveled so many places and has great posts about her trips. In Scotland-Edinburgh, Glasgow, Oban, St. Andrew’s, Isle of Skye, Isle of Mull, as must! That black floral is gorgeous!!! I’m from Northern Ireland, currently living in Houston. Happy to give you any tips on what to see. It’s a beautiful place and the people very friendly. I hope while in Scotland you’ll get to visit Balmoral. So beautiful. And all the coastlines. Just traveling by train gives you such wonderful scenery. Oh, I can’t wait to follow along on your travels! And then to read all about what you did, where you ate, etc. I’m headed to London on September 14th and then we take the train over to Paris on September 19th! Where is the black handbag from? Me again…..you look amazing in everything. Girl’s got the curves and muscles! 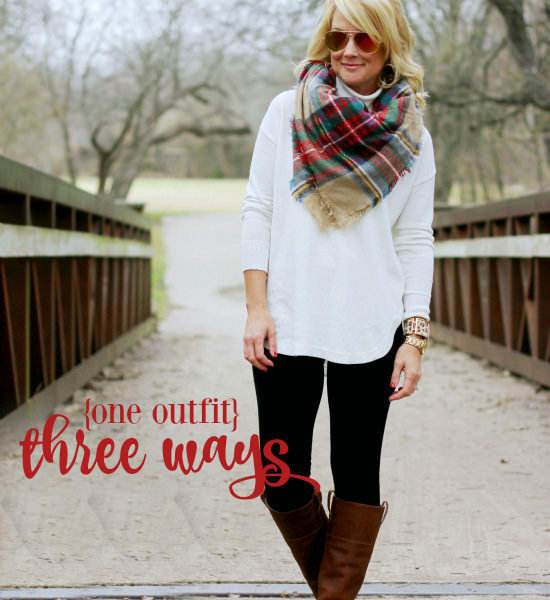 I keep eyeing this gorgeous, go w/everything, 3 season (4?) blouse. Genius!